I made a Facebook fan group for Kalevala, the Finnish national epic. I can’t believe there wasn’t one before. Join it! I also tested out Wordlea and created an abridged version of Kalevala. The common words are bigger. I’d say this is pretty accurate. The central characters have the big words, then there’s lots of saying and speaking. This is the international version of my regular blog Musta tuntuu. 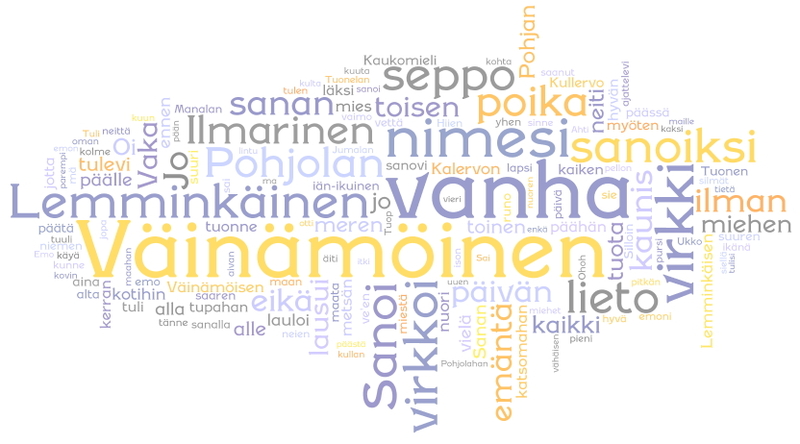 The contents will mostly be English translations of my Finnish postings.